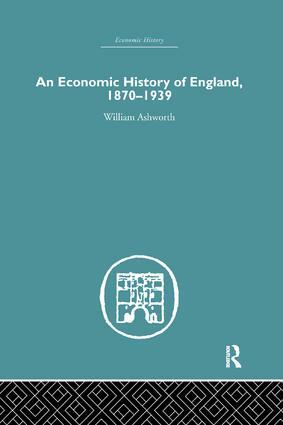 This is a comprehensive account of a decisive epoch in England's economic development by a leading economic historian. 'Works of economic history often get bogged dwon in figures - so many machines, so much unemployment, often, too, they are histories of technology, not of economic organization. Professor Ashworth goes to the opposite extreme in a most praiseworthy way: his book is actually good to read. Though there are tables of statistics (eleven of them), the book is an essay in interpretation, not an encyclopedia; it enriches our understanding rather than adding to our knowledge.' A.J.P. Taylor. This classic book was first published in 1960.